What should I consider when planning a layout for a LeakyPipe system? Firstly, whether an area is big or small, you need to consider where the water is coming from and then where is the place or places you want to water. Then work out an acceptable way to plumb the water between these places. If you can plan ahead consider ducts under hard-surfacing or pathways and consider clipping supply polypipes to walls. Consider if you need to run supply pipes up and over an obstacle. A really good design principal is to split or 'Tee' the flow of your source water in two directions around the garden, perhaps even closing the loop and creating a 'Ring Main'. The action of 'tee-ing' the original flow, halves the flow and so slows down its speed. 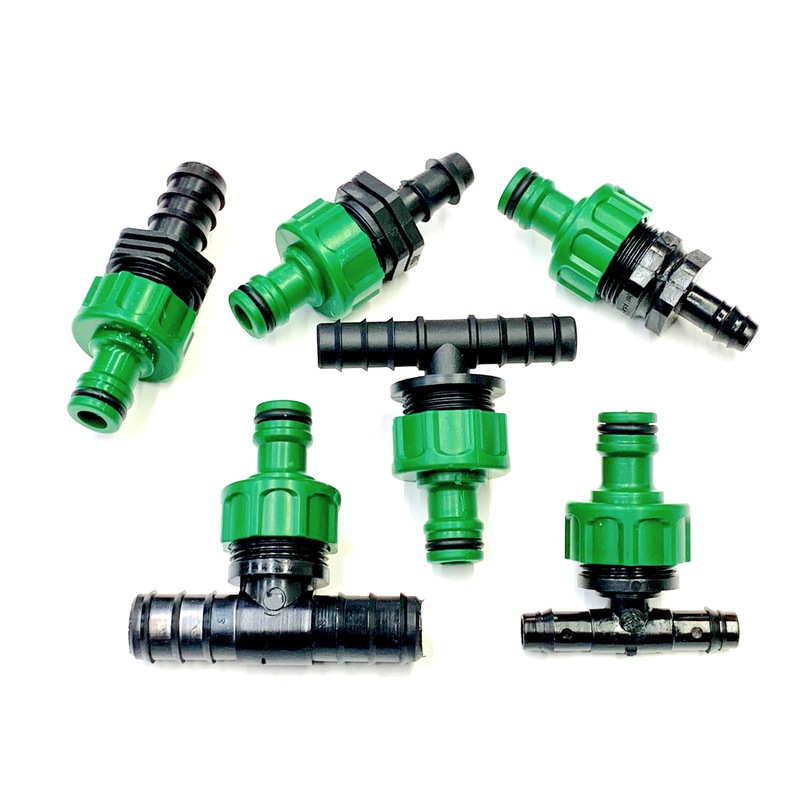 The speed reduction helps reduce friction and subsequent pressure loss along the supply main. In simple terms, this means the water is carried in such a way, that the nearest and farthest LeakyPipe laterals have a greater chance of working at similar pressures, which is good practice. Designing supply pipe layouts is similar to planning electricity supplies in a house, where the cables in the wall is supply pipe, the connectors are sockets on the wall and the LeakyPipe is the electrical appliance you connect and use. There are big similarities between the two resources as they both deal with flow and pressure. Teeing-off is a good thing, so 'tee-off' to a border or island bed, before continuing to the next. Avoid running water through LeakyPipe and back into supply pipe to get to the next area (i.e. in series). With this approach, you could consider making a border, hedge, tree or planter or any group of these into an 'Irrigation Zone'. A 'Zone' can be replicated and then a group of zones could be watered sequentially to get the maximum use from a limited water source. A Zoned approach can also be useful if the areas to water are very different in their watering need. The reasons could be related to aspect, rain shadow, drainage, exposure, plant characteristics, to name a few. (But it doesn’t need to be that complicated).